On December 5, Azerbaijani Deputy Foreign Minister Araz Azimov participated in the meeting of the North Atlantic Council with Resolute Support Operational Partner and Potential Operational Partner Nations in Foreign Ministers' session. During the meeting, NATO allies and operational partners discussed the security situation in Afghanistan, developments vis-à-vis the peace process and reiterated their support to Afghanistan’s long-term security and stability. The deputy minister reiterated Azerbaijan’s support to sovereignty, territorial integrity and inviolability of the internationally recognized borders of Afghanistan. 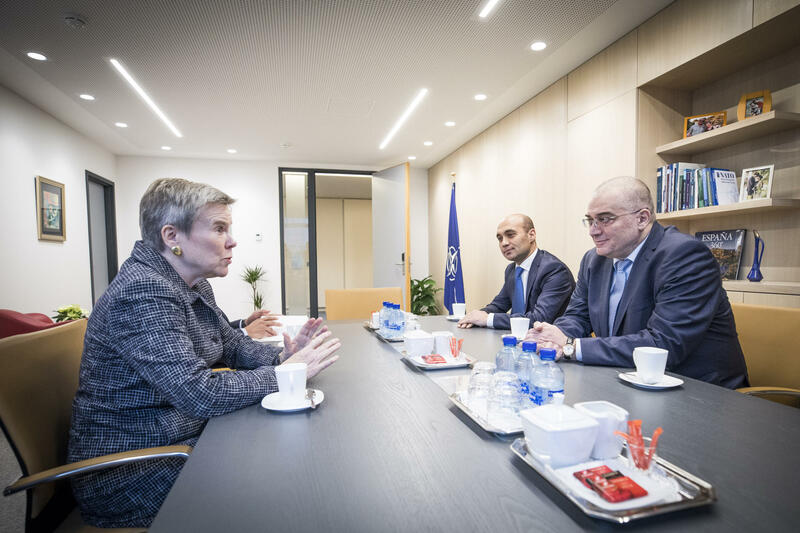 Azimov also met with the NATO Deputy Secretary General Rose Gottemoeller during his visit to NATO Headquarters. He noted the determination of Azerbaijan to continue its regular political dialogue and practical cooperation with the Alliance.